There is a book in the Goosebumps series penned by R.L. Stein that Ryohei Hase and us at Creative Tempest must share a common love for, The Haunted Mask. It is a story of a gruesome Halloween mask that adheres to the wearer’s face and becomes a living new visage. The subjects in Ryohei Hase’s most compelling works have similarly had their heads transformed into those of primal beasts. R.L. 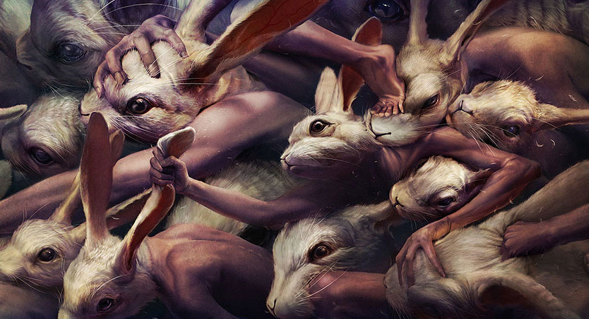 Stein’s books just barely managed to scare us as children, but Ryohei Hase’s powerful images unnerve us as adults. i am masood as you know i have a blog on pictures.